As you may know, Mobile Gazette is five years old. As part of our Retro season, we look back at what we think are the three most influential.. and three most disappointing phones in the past five years. The three most influential phones in the past 5 years.. It's a familiar sight these days, but back in 2004 the Motorola RAZR V3 was nothing like anything that had gone before. At only 14mm thick, the RAZR was the slimmest phone around, and the use of anodized aluminium in the design made it look amazing. In fact, the RAZR had so much "wow factor", it regularly made the news. It wasn't the first handset to be called a "fashion phone", but it is certainly one of the most memorable.. and the RAZR V3 sold millions of units. You can still buy them new today for about $100, which is quite a bit cheaper than the original $600 asking price. The RAZR had some drawbacks.. the main one was that it was actually a pretty poor mobile phone underneath the pretty exterior. 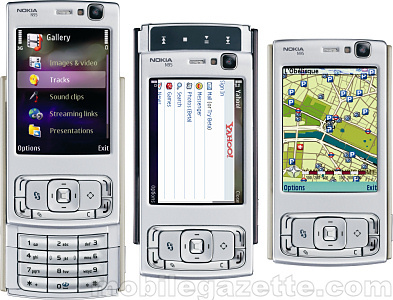 The user interface was horrible, the phone was slow and the phone didn't have a media player or expandable memory. Really much all the Motorola engineers had done was take the old Motorola V600 (from 2003) and squashed it down into a new case. 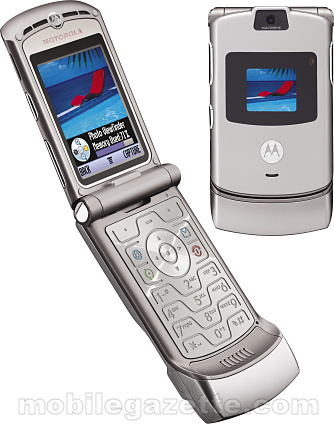 Motorola could never repeat the success of the original RAZR, despite coming up with dozens of variations. We caused a stir last year by saying that the RAZR was killing Motorola, and that Motorola's strategy had gone badly wrong. Regardless of these ups and downs, we think that the Motorola RAZR stands out as one of the three most influential phones of the past five years, because it made other manufacturers take a long, hard look at their designs in order to make them more appealing. Nobody could ever accuse the Nokia N95 of being a fashion phone.. announced in 2006, the N95 defined an entirely new class of handsets that were stuffed with just about every feature you could think of. Featuring 3.5G support, WiFi, GPS, a superb 5 megapixel camera, a large screen, powerful multimedia player and a clever two-way slider, the N95 was the most advanced phone that we had ever seen. The N95 demonstrated that there was a market for high-end and expensive mobile phones, and it became the benchmark to beat. Even two years after launch, the N95 is still a very popular phone and there are only a tiny handful of devices that can beat it. 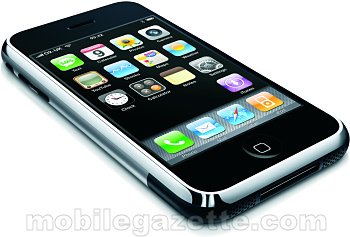 The Apple iPhone was announced early in 2007, and it's a love-it-or-hate-it device. But there's no doubting that it is a highly influential device that has inspired competitors to come out with a raft of "me too" devices. The original iPhone lacked 3G or GPS, had a pretty poor camera and a number of other disappointments.. but it was the most polished phone to date with a fantastic user interface that won admiring glances.. even from those who claimed not to like the thing. One simple measure of how these three phones compare in terms of popularity is a Google search. Looking up "RAZR" gives 28.6 million matches, N95 gives 64 million matches, and iPhone gives an astonishing 337 million matches. Does that make the iPhone more influential than the others? Possibly not.. but it has definitely created the biggest media buzz. We didn't count the Nokia 6310i as that is actually six years old.. a phone that was pretty much perfect for its target market. The Sharp 902 defined the modern 3G phone, but was about two years ahead of everyone else. 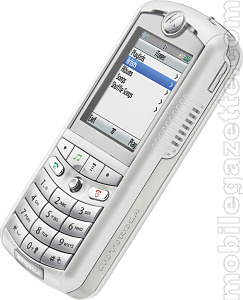 The Sony Ericsson W800 redefined the mobile phone as a serious media player. The Samsung D500 popularised the now common "slider" format. ..and the three most disappointing phones. The phone that both Motorola and Apple hope you had forgotten.. the Motorola ROKR E1 was announced in 2005, following months of speculation about an iTunes-capable phone. Public expectations were high, with all sorts of snazzy conceptual designs combining iPod elements in a mobile phone.. more or less the same concepts that emerged before the iPhone was launched. The reality was hugely disappointing. The Motorola ROKR E1 was a slightly tweaked version of the Motorola E398 from the previous year. The ROKR E1 could only store 100 tracks, regardless of the size of memory card, and it just didn't look the part. It was a huge flop, despite the fact that it was actually quite a good music phone despite its limitations. The ROKR range still soldiers on today with handsets such as the ROKR E8, but the ROKR has always been a FLOPR compared to the original RAZR. 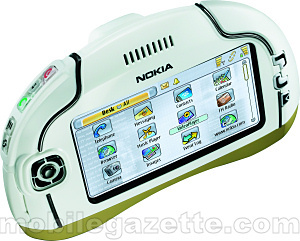 Back in 2003, several years before the iPhone, Nokia showed off the Nokia 7700 which featured a large touch-sensitive screen with a specially designed user interface, a multimedia player, camera, email client and pretty much everything that you would expect from a modern touchscreen phone..
..except the 7700 was made with technology from 2003, so it was bulky, lacked memory and was slow. Eventually the 7700 was cancelled and replaced with the 7710 which fared little better. Along with the Nokia 6708, these three devices were Nokia's first touchscreen phones, but they spectacularly failed to make any impact on the market whatsover. Perhaps if the 7700 had an Apple badge on, things might have been different. If you are going to make a phone that looks like a digital camcorder, then you would expect it to live up to its looks when it came to taking pictures and video clips. 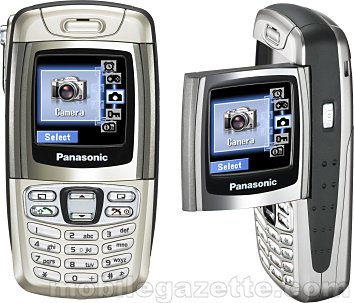 But although the Panasonic X300 looked fantastic with a flip-out screen and side-mounted camera, the truth was that it was utterly rubbish.. even for 2004 when it was launched. When Panasonic's rival Sharp had just launched the first megapixel camera phone in Europe, the X300 was stuck at 0.3 megapixels. Video capture resolution was approximately 120 x 160 pixels and the X300 couldn't even record sound. The X300 didn't have any type of expandable memory and the 3MB available internally was completely inadequate. The only way to get pictures off was an optional and highly proprietary USB cable. On top of that, the pokey 128 x 128 pixel display was utterly inadequate.. and poor quality construction meant that it tended to break. We admit that plenty of other phones from that time period had similar shortcomings, but none were as utterly disappointing as the Panasonic X300, although Panasonic continued to churn out uncompetitive handsets in Europe until the end of 2005 when they gave up. Although Panasonic's other products are excellent, and Panasonic's Japanese phones are quite impressive, their efforts in the European market were surprisingly poor and nobody really misses them. The Sony Ericsson P990 looked good on paper, but bugs and a lack of interest from its manufacturer meant that this promising device never achieved what it could have done. The Siemens Xelibri 6 (and the whole Siemens Xelibri range) was an interesting idea that is still waiting for the right moment. The Motorola MPx220 failed to popularise Windows on ordinary phones. The Nokia 3200 allowed you to make your own covers.. but we're not sure if anyone ever did. The Nokia N91 tried to introduce the hard disk to mobile phones, but failed. The Motorola ZINE ZN5 is one of 2008's most disappointing phones because it comes with a first class camera, but no 3G or GPS. Who knows what will be memorable in another five years or so.. we hope that we are still around to share!